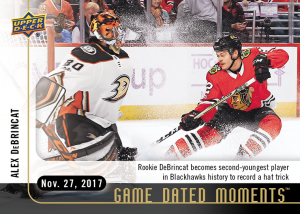 New 2017-18 Game Dated Moments Packs for Week 9 are Now Available on e-Pack! 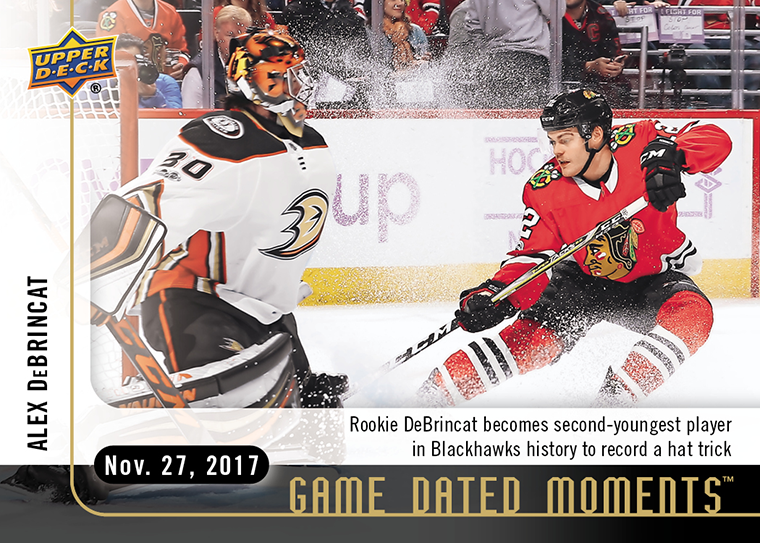 Blackhawk Rookie Phenom, Alex Debrincat, came up big with his first career hat trick in a 7-3 home win making him the second youngest Blackhawk behind hockey legend Jeremy Roenick to do so. 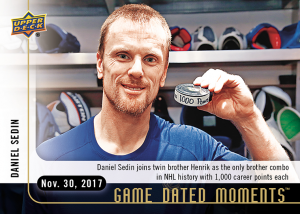 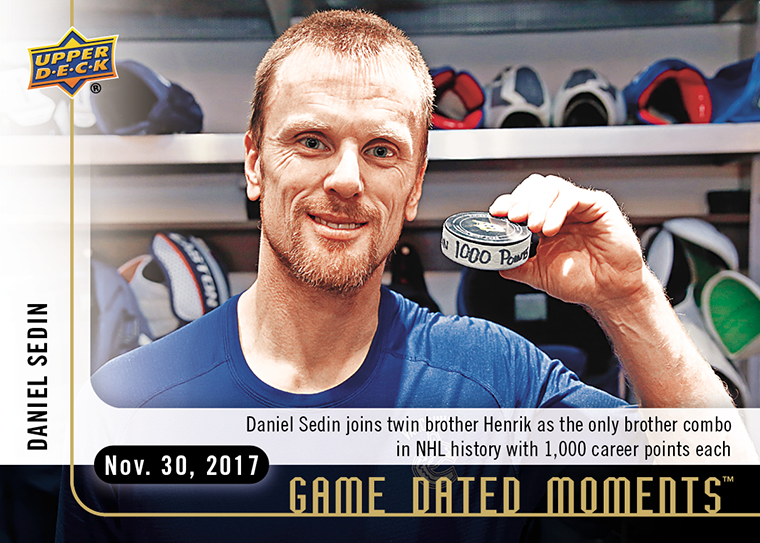 They say, “good things come in pairs” and on a power play goal, Daniel Sedin joined his brother Henrik as the only pair of brothers to ever reach the 1,000 point milestone in the NHL®. 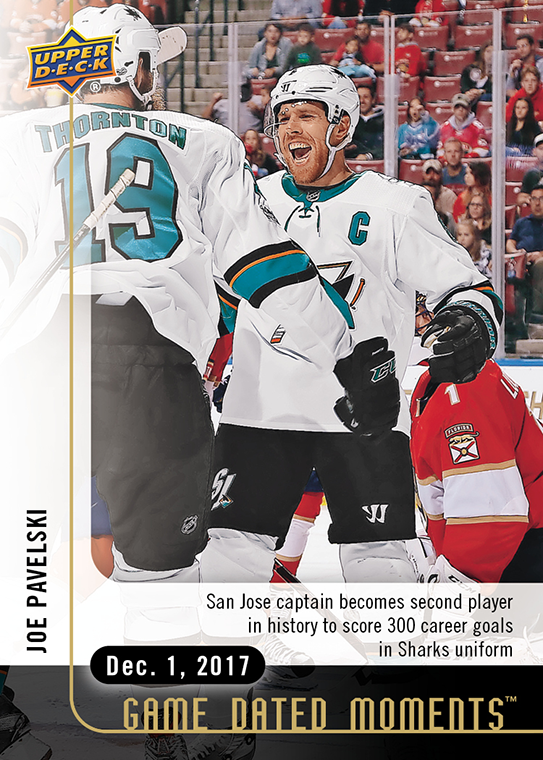 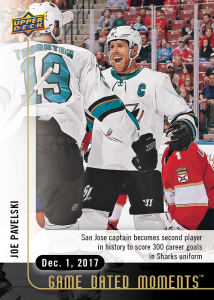 The San Jose captain took advantage of an open corner in the crease and snuck one by the goalie to tie the game and notch his 300th career goal.